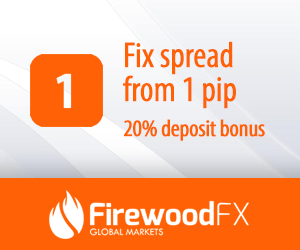 FirewoodFX offers traditional 4-digits pricing with fixed spread from 1 pip. It is combined with modern STP execution to global liquidity pool. Trading server are hosted in Equinix NY4. No requote and very fast execution in milisecond and for muslim trader Swap-free/Islamic account are available. The more you trade and deposit, the more bonus you get. Earn $10 credit for each FirewoodFX standard lot (10 micro lot)* closed within 30 days from the first deposit. Credit Bonus can be used as additional margin and equity. You must register your FirewoodFX live trading account or transfer your existing account with our Partner Link to participate in our FirewoodFX Rebate Plan. Contact Us if you need futher details. You will receive your rebate payment by FirewoodFX AutoRebate on Daily basis. We will then share with you the commission by paying you rebate into your trading account. 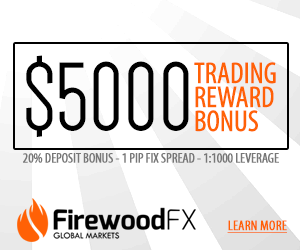 You will not get cashback if you directly open your account without joining FirewoodFX Rebate Plan. Trading accounts that are inactive for more than 12 weeks will be deleted from our records , and you will need to register again using the form provided below if you want to continue using the account and get FirewoodFX rebate from your trade.